How Far is Advance Joy? 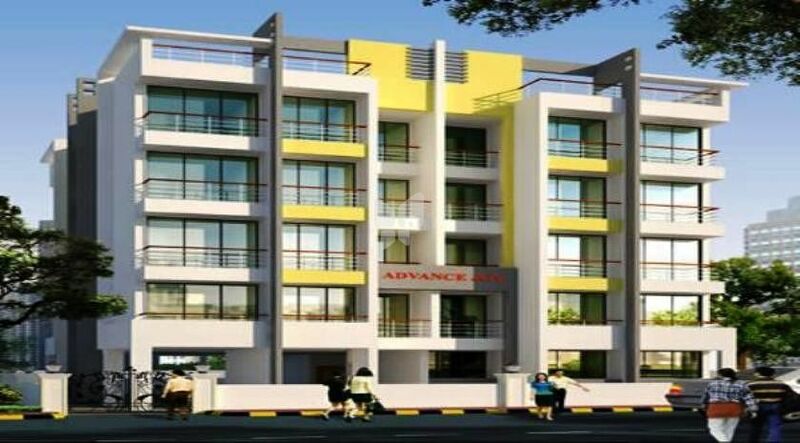 Advance Home Makers Group has launched yet another project in Navi Mumbai. Advance Joy is located in Ulwe. Building R.C.C. framed with decent elevation. Main entrance attractive lobby with Flat holder’s name board. 2 x 2 vitrified Flooring in all rooms and kitchen with skirting. P.O.P. cornice in living room. Full glazed tiles bathroom and spartex flooring. Full glazed tiles W.C. and toilets with flooring. Dado 3.6” ft. of glazed tiles above kitchen platform. Main door frame salwood & internal door frame precast or salwood. Decorative main doors and internal wooden flush doors with French polish. Marble frame with hardner sheet doors for WC & bathrooms. Anodize Aluminum sliding windows with marble window frame. Concealed plumbing with C.P. fitting with shower. Every flat provided one wash basin. Concealed copper wiring with adequate fan and tube lights points and plug. Telephone and cable T.V. point in living room. Externally snowchem / sandtex / cement paint and internally Acrylic Distemper paint. 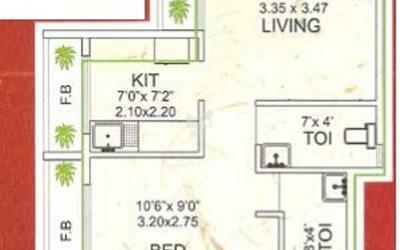 Building surrounding checked tiles & decent compound wall with gate. Good quality and required capacity lift. Water Proofing of W.C. Bath & Terrace. Underground & overhead tank for water supply. Adequate green plantation in plot boundary. The sapling of Advance Groups was planted by Mr. Ramesh D. Shah in 1989. Under his able guidance and hardwork, the company has grown up into a big tree with its roots deep into the construction industry from Bingo Pariwar to Advance Groups. The company, having its registered office in Mumbai, is now one of the fastest growing Group of Companies in Fast Developing Future Cities with the good network of skilled & experienced Architects, Engineers, Contractors using Modern Techniques, Financers, Investors & Bankers. Over two decades, we have been acknowledged for quality, commitments, integrity, timely execution, innovative technology upgradations, brand equity & value addition all through for all our projects. We hope of achieving our aim of excellence with our assests like Team work, Quality, Reliability, Experience and Trust. For us, this is just the beginning.